The 1990s was the first decade of modernized animation, seeing a big rise in the amount and quality of animation produced. “The Simpsons” and similar shows raised the bar on expectations for animation, while the explosion of cable TV channels meant a lot of new outlets for programming. Here’s a look at my top theme songs for the 1990s, along with various honorable mentions. “The Simpsons” is still my vote for my favorite 90s cartoon, back when the show was in its prime and I still watched it. Of course, its theme song also has become iconic. Warner Bros. saw much success with their first modern TV animated series, “Tiny Toon Adventures.” Babs Bunny and Plucky Duck were for me the funniest characters on the show, though the others (Buster, Hamton, Furball, Sweetie, etc.) were also great. 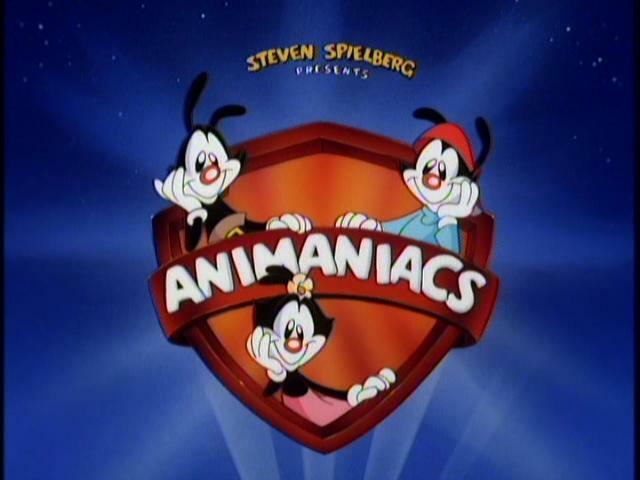 “Animaniacs” was the successor show to “Tiny Toons,” and also was a 90s classic. The theme song’s also catchy. “Pinky and the Brain” was the successful spinoff of “Animaniacs.” The two lab mice also got their own retooling, “Pinky, Elmyra, and the Brain,” about which the less said, the better. Despite its popularity, the show’s not been seen much since the 2000s; even “Animaniacs” got back on TV a few years ago, airing on The Hub/Discovery Family. I’ve written about “Batman: The Animated Series” before, including on my favorite 90s superhero theme songs list. I’ve written about several “Rugrats” characters before. Suffice it to say that “Rugrats” was Nickelodeon’s biggest animated success in the 90s, getting several spinoff movies and TV shows. While it debuted in the late 80s, “Garfield and Friends” stands out the most as a 90s cartoon, when the series hit its prime, including fourth-wall breaking jokes, parodies, and so on. That includes the most popular of the series’ three theme songs, the “Ready to Party” theme. Note this is also the only traditional Saturday morning “Big Three” network series that’s made my list, which might say a lot about the shift in animation during this decade. Newer broadcast networks (Fox, the WB), syndication, and cable were the main drivers of the 90s animation renaissance. “The Powerpuff Girls” made my 90s superhero theme songs list, but it’s also one of my top choices for the decade as a whole. The girls debuted in 1998, and became popular mainstays on Cartoon Network into the 2000s. Technically, “SpongeBob” is a 90s cartoon, as it debuted on Nickelodeon in May 1999. However, it quickly went on to eclipse every other Nick show in popularity, and became one of, if not the, most popular TV cartoons in the 2000s. Even well into the 2010s, it’s still Nickelodeon’s most popular (and heavily relied on) cartoon by a nautical mile. Previous Post:Is Twitter becoming more like Facebook?